Safety is important to us. 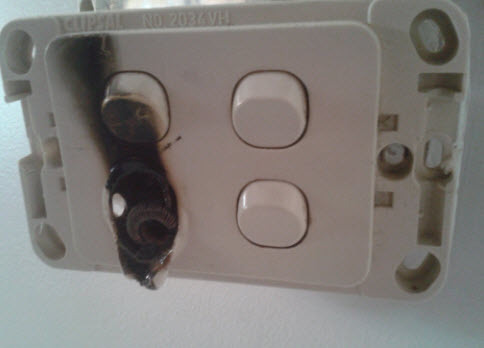 According to the ABC in 2010 “Home electrical accidents kill 15 per year” in Australia along with 300 hospitalisations. These accidents are ALL preventable so don’t let it happen to you. Rolly’s Electrical can do a safety audit on your house and put your mind to rest that you and your family or staff are safe from electrical hazards. Ensure electrical circuits and equipment are not overloaded and advise appropriate action as required. Assess your compliance with Ergon Energy regulations and advise steps to ensure compliance. We commonly find houses with faulty earthing and sometimes faulty safety switches which means you are not protected when you thought you were.